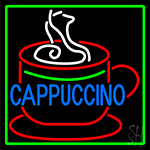 Display the amazing cappuccino neon signs at your cafes, if you are looking forward to advertise your in-house cappuccino specialty. 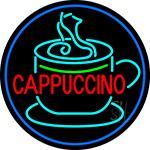 Cappuccino fans will definitely notice the bright glowing cappuccino neon lights and come straying into your shops for a sip of your specialty drink. 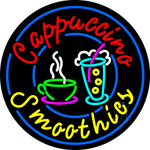 With the elegant cappuccino open neon sign hanging down your window will announce in itself that the coffee shop is open 24 hrs for your potential customers getting in more sales ever. 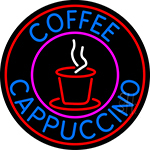 Those flashes and glitters of cappuccino flashing neon signs will set into the minds of the passers-by beyond any doubt. 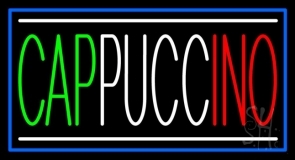 Our cappuccino neon signs in the shades of red, green and blue are must watch unique designs that will never go wrong with your coffee houses. 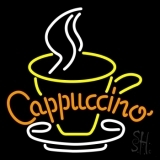 There is no other light form that has the same radiance and brilliance as our cappuccino neon light. 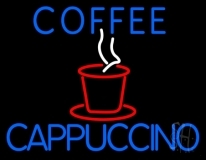 Horizontal or vertical, our cappuccino open signs will add glories to your establishment's popularity. 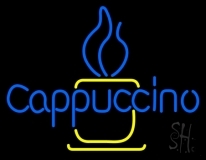 Customization of cappuccino neon signs is the best option to look for, when you want to first-line something different and out of the box. Our very talented designers are here to help you for the same. Add features of individuality and elegance to your coffee shops with your designs and our designers' inputs and create your eye-catching personalized cappuccino neon lights. 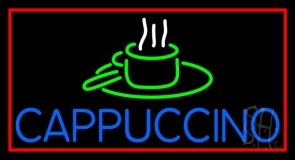 With flashing frame, text and logo, your custom cappuccino animated neon sign is going to drive in more number of cappuccino lovers with major increase in your earnings. 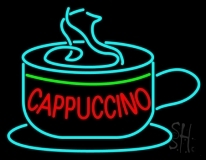 So get your cappuccino neon sign ordered here!